This trip will bring you to explorer deeply the ethnic culture & nice landscapes in the North of Vietnam. You will have homestay, ethnic colorful markets, karst roads, wild’landscapes, beautiful terrace rice fields…. in Phu Yen, Mai Chau valley, Sapa, Xin Man, Hagiang, Dong Van rocky plateau, Cao Bang, Ban Gioc waterfall…. First day of our loop. We go North West direction Son Tay. Discover step by step the countryside and the traditional farming activities. Very nice mountain roads, tea fields and rice paddies. Upon arrival in Phuyen, we visit the traditional Thais village located next to the stream with very nice view. O/N at hotel in Phu Yen. In the morning, enjoy the beauty of rice field with a sort walk then we conquer the Lung Lo mountain passes through forest, follow Hoang Lien Son mountain ranges heading up North on road 32. We stop to have lunch in Nghia Lo then climb up to visit the old French military camps to know more about the colonial war in Vietnam. On the road, we will stop for visiting our friend villages of Dao, H’mong and Thai ethnic. Very nice rice fields in terrace. O/N at hotel in Mucangchai. Ride along Muong Kim Stream to Than Uyen, where we will make a short riding to villages of Black Thai people dirt road through green tea field. Explore the most beautiful landscape in the Northwest of Vietnam at Tram Ton passes and enjoy the beauty of the Silver waterfall at the top of the pass. After-noon, we will go down to Catcat village to discover the real life of black H’mong group, back to Sapa and pass overnight at hotel. We go downhill to Lao Cai to visit Lao Cai international trading border and Red river with mark the nature border between Vietnam and China. Visit the temple right at the border and listen to the story of a heavy war with Black-Flag Chinese army. After the lunch in Ba Ha town, we make our journey to climb up to Xin Man. On the way, we make some stops to walk through villages of Flower H’mong, Nung…ethnic. O/N at hotel. One special day begins by heading South direction on the bumpy, dirty, and muddy road. Luckily, we climb up to top hill on a good condition road, enjoy your riding downhill with beautiful scenery of rice paddies on the mountain sides toward Xin Man which seems to be impossible in the rain. Stop at many villages to chat and talk with local people and discover their culture. After about 3 hours on the road, we reach a good road, but still small and wild. 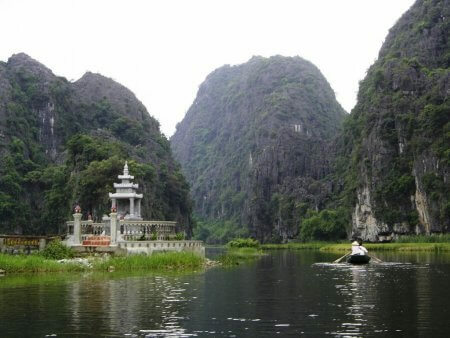 That would be great for going through rice fields, limestone mountain karsts of Luc Yen. O/N at homestay with Tay family. Quite easy day on flat road, driving in the magic land of limestone karts surrounding villages heading to the national road No2. From here we continue riding along Lo River to Ha Giang. We across the town and heading toward the Chinese boder gate Thanh Thuy and arrive at Thon Tha – a Tay culture village, we do a sort stroll to visit the village and everywhere you pass, the children will follow you as companions… O/N with our Tay frein family on their stilt – house. After breakfast, we return to Hagiang to get the permit paper before conquering the Heaven Gates such as Quan Ba, Yen Binh, Dong Van. They are called so because one gets the feeling of touching the sky, the heaven gates. This is the best time and place to enjoy the wonderful sightseeing of the vast limestone mountain range and perpendicular walls of rock, which brings one a feeling of adventure while being lost in a magic land. Here we are surrounded by many rocks of all shapes and sizes. 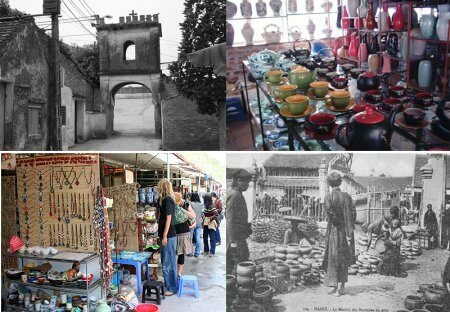 After lunch at Yen Minh town, the scenic route climbs over a pass before arriving to Pho Bang, also called Pho Bang Street, which was built a long many centuries ago and features multi-storey houses made of clay bricks and tile roofs. Then we continue our trip to visit the infamous Vuong Palace, a H’mong family of high rank during French colonial rule. This palace attracts keen interest from architecturally minded visitors due to it mixed style of European and Chinese architecture. O/N in Dong Van at hotel. After bidding farewell, we climb over the Ma Pi Leng Pass from which we can see and enjoy a beautiful view of sunset overlooking the Nho Que river. Visiting these remote areas, we will bear witness to how hard the local people struggle with their environment for their survival and development. Because the living conditions are extremely hard, there is barely any arable land within the Rocky Mountains; the people who live there survive on a diet of corn, which is about the only crop able to grow in the rocky soil. Even through this hardship, the local people are very friendly, simple yet have developed a strong attachment to other people. They are the soul of this remote area. We go down until Meo Vac, stop at the market then continue to Bao Lac where we climb up the mountain to visit a black Lolo village. O/N at mini-hotel in Nguyen Binh. Keep rolling up wild mountain pass into Cao Bang town for lunch and a short walk to see traces from the French colonialism and many stories of 1940s .The national vestiges are some of this hill town’s major sights. We have a chance to visit these before we head out in the direction of Ma Phuc Pass to enter an area of innumerable vast steep limestone karsts areas – homeland of Tay and Nung An people. O/N with Nung family in Quang Uyen. After breakfast, we say “goodbye” to our hosts: Mrs Chinh and Mr. Kieu then go down to Phuc Hoa by the road throughout the forest and the sugar cane fields. By the RC 4 road, very famous during the French war in Vietnam with many hard battles that had happened on this area. 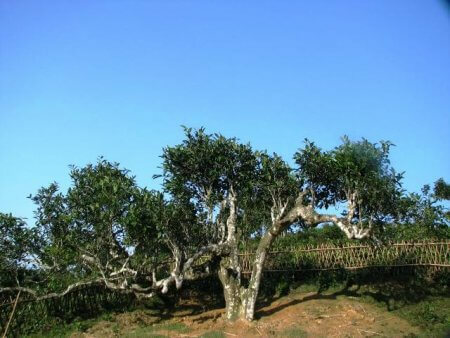 Upon arrival in That KHe, we turn right to go to Bac Son town by the forest road. O/N in Bac Son. In the morning, we visit Bac Son museum to know more about this land considered as a heroic district during the colonial war against the French army before coming down to Thai Nguyen. After lunch, we discover the ethnic culture at ethnic museum in the town then go back to Hanoi. End of the trip.